On the left, fenixfatalist as Sailor Neptune. 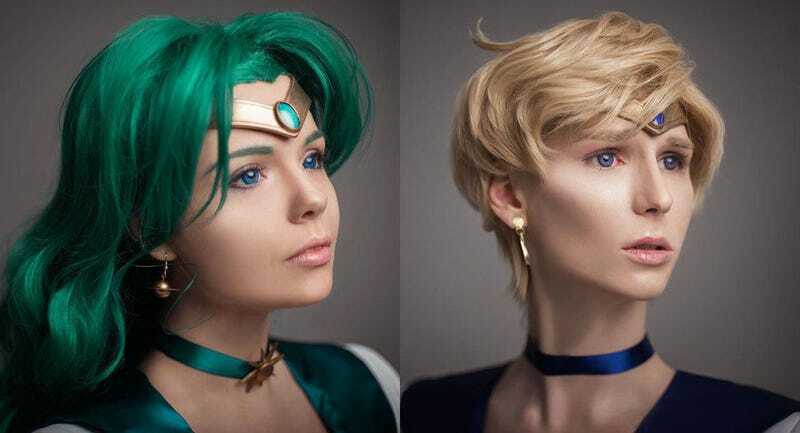 On the right, her husband vergiil-sparda as Sailor Uranus. It’s not their first time cosplaying together (see below), but it is his first time crossplaying, and it’s absolutely incredible.